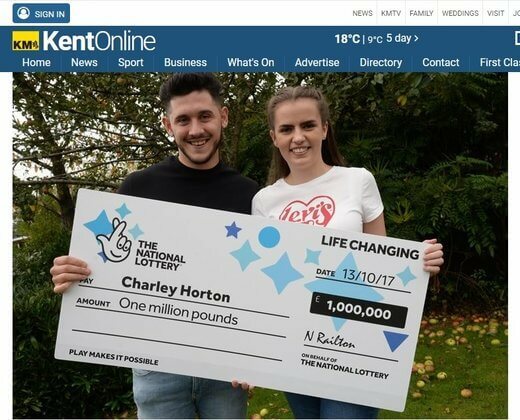 Charley Horton and his girlfriend was at the cinema when she reminded him to buy a ticket. Later that night, as he was watching the Fast and the Furious on TV, he thought about buying all those fancy cars if he hit the jackpot of £28 million. Perhaps because it was Friday the 13th, he did not hit the jackpot. But he’s still happy with the £1 million he won in the Millionaire Maker draw. The lucky man seems determined to go back to work as usual. And he is quite frugal with the money having spent only for a pair of shoes and a McDonalds meal so far. They have plans to buy a house of their own though and also to go on a trip to New York. He says he’ll likely buy more shoes and just pay off his VW Polo instead of splurging on an expensive car.